Manufacturers understand the best way to increase the regular customers is through the actual trial of their products. And the number of trials at a faster space on a larger scale is best achieved through the business gifting channel. But the real challenge starts hereafter as the corporate gifting is highly fragmented channel with one man show entrepreneurs handling very few accounts in their city of operations. Few brands have tried to overcome the challenge by appointing dedicated gifting team spread over the region with executives dedicated to named accounts but have failed to sustain it due to very high operational cost, lack of volumes and meaningful results. Most of them get confused with the institutional sales which is different from the gifting channel and must be managed separately. This should be a good news for the manufacturer as they can add one additional sales channel to do meaningful trials and add new customers to their existing user base. Major challenge for the manufacturers is that due to poor margins in the branded products most of the strong gifting players avoid dealing with so called branded products. Even if they agree to promote the products they ask for the moon without assuring business volumes within a specified period of time. On top of that the greatest fear is to maintain the market operating prices as instead of trials the product may reach the existing trade channel defeating the purpose and creating new problems with the existing trade partners. The worst part is that customization demand from the gifting partners can kill the existing system and robust manufacturing processes at the factory. The best way to address all these challenge is to have a dedicated national corporate gift partner as an independent new sales channel. We are suggesting to add another vertical as gifting channel to your existing retail, wholesale, institutional, large format, e-commerce channels. For example, as a well-known brand Apple can book sizable order from a few known MNC (which anyway approached Apple) but what about the umpteen missed opportunities which when combined will even beat the few bumper orders by big ratios. A planned coverage and thereby new sales through the gifting channel is ideal even for the well-known established brands. 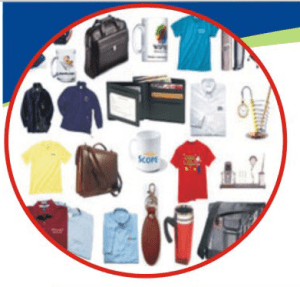 Get Franchise opportunities in your town for Corporate Gifts. Since gifting partners have a major say in promoting and showcasing the various products to their customers the best way to motivate them is by having a healthy strong policy in place. Appointment should be based on the connections they enjoy with their existing customers and allowing them to have a respectable margin by planned distribution. The objective should be numbers or value to be achieved in a given period instead of total coverage as less means more and more means less here. As a manufacturer you should be focusing on trials, numbers, volume, strong values and must leave the rest to your gifting partner whom you can also treat as outsourced gifting department to help you increase your overall sales. There are many products which must be mass distributed to cover and capture the brand market share but at the same time there are enough products which must be distributed very selectively to achieve their predefined end objectives. The plasticity of the gifting distribution channel demands thoughtful distribution to achieve the end objective of enough trials and increase in the market share through profitable means. Time to remember famous saying different strokes for different folks. Brand activation is required! The model is already working with few strong manufacturers and is being constantly tinkered as per continuous new leanings to fine tune it to give all manufacturers a viable new gifting sales channel. You can be the first in your product category to sign up as the value system demand that they must be fair to the brand which identified and partnered them first.